Ojeda will take over for Alguacil, who departs to manage the Giants Triple-A team in Sacramento. Alguacil led the Squirrels to a 72-68 record in his lone year as manager in 2015 and the club fell one game shy of a making the playoffs. In 2015 the Squirrels sent four more players from Richmond to San Francisco and the Giants 40-man roster now boasts 22 players that have once worn a Squirrels uniform. "I am very excited to have Miguel join our organization. He has a vast amount of varied experience. From playing at the Major League level to his experiences as a manager in Mexico," said Giants Director of Player Development Shane Turner. "His reputation as a leader is only surpassed by his reputation as a person. He will be a great asset in the development of our players in Richmond. In particular his experience as a catcher will help the development of our game calling between pitchers and catchers." 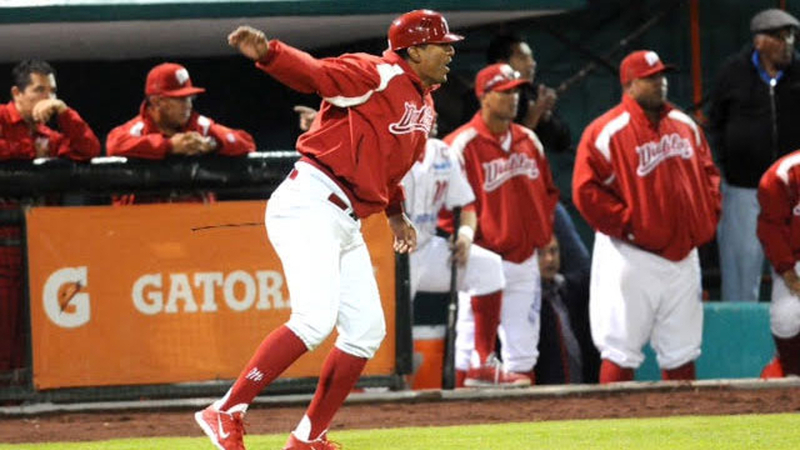 Ojeda, 40, joins the Giants organization after spending the previous three years as Manager of the Diablos Rojos in the Mexican League. Ojeda was named the 2014 Mexican League Manager of the Year and led the Red Devils (70-42) to their 16th title in franchise history. The Mexican native was initially signed by the Pittsburgh Pirates in 1993 from the Mexico City Reds. He made his MLB debut with San Diego in 2003 and appeared in 61 games that season with the Padres. Over parts of four seasons, Ojeda appeared in 212 games for the Padres, Mariners, Rockies and Rangers and collected 15 career home runs with 72 RBI's. Ojeda also appeared in 899 minor league games over the course of his extensive professional career. He played for current Giants skipper Bruce Bochy in 2003 as a member of the San Diego Padres. Joyce returns for his sixth consecutive season in the role of Hitting Coach and has helped develop a host of MLB hitters such as Joe Panik and Matt Duffy during his five seasons in Richmond. In 2015 alone, Kelby Tomlinson, Mac Williamson and Ryan Lollis all spent time in Richmond prior to making their MLB debuts. Joyce served in the same capacity with the Fresno Grizzlies (AAA) in his first season with the Giants in 2010 before joining the Squirrels in 2011. Prior to joining the Giants, he spent eight seasons (2002-09) with the Toronto Blue Jays in a variety of roles. He was the Hitting Coach at Triple-A Las Vegas in 2009 and held the same job with Double-A New Hampshire in both 2007 and 2008. Joyce was also a manager in the Blue Jays' system at the Single-A level from 2004 to 2006. He also served as an instructor in the Florida Marlins' chain for six seasons (1994-99). Kline returns to the Squirrels as Pitching Coach after leading the team to a franchise-best 3.12 ERA in his first season. Kline joined the Squirrels in 2015 after spending the previous six seasons in the same roll with the Augusta GreenJackets. Kline finished off his long and established Major League career as a lefty reliever with the Giants in 2007. He appeared in 796 MLB games during his 11 year-career that began with the Indians in 1997. The 42 year-old Pennsylvania native was an 8th round selection by Cleveland in the 2003 draft out of the University of West Virginia. He set the single -season record for appearances (89) in 2001 while with St. Louis and led the National League in games played three consecutive seasons (1999-2001).